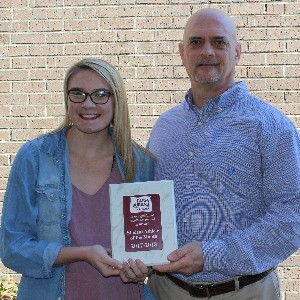 Abbie Mitchell, a senior at Houston High School, is the Farm Bureau Athlete of the Month. She has a 4.17 GPA. Abbie plays tennis. She is also a member of Beta and Vice President of FCA. She is the recipient of the Latin award, a finalist in the selection tournament and won the most improved award in tennis. Abbie also enjoys playing the piano. Upon graduation, Abbie plans to attend Itawamba Community College and pursue a degree in pharmacy. She is the daughter of Wade and Dodie Mitchell. 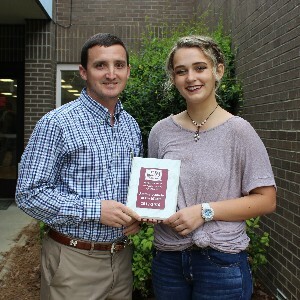 Brylee Poteete, a junior at Houston High School, is the Farm Bureau Athlete of the Month. He has a 3.8 GPA. Brylee is the third baseman for the Topper baseball team. He is also on the principal honor's roll. Brylee is a member of Parkway Baptist Church youth group. He enjoys playing baseball, being outside and spending time with friends. 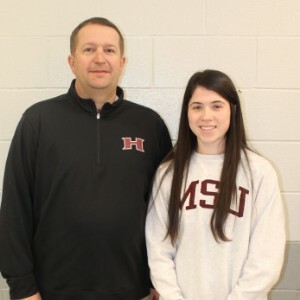 Brylee plans to attend East Mississippi Community College and then transfer to Mississippi State University to pursue a major in sports medicine. He is the son of Bryan Poteete and Tana McQuary. 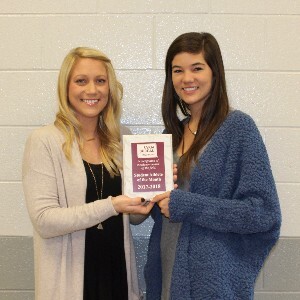 Abby Kate, a sophomore at Houston High School, is the Farm Bureau Athlete of the Month. She has a 4.08 GPA. Abby Kate is a member of the HHS archery team and the TopperPride band. She is also the district Anchor Club president elect, as well as a member of Student Council and Beta. Abby Kate plans to attend a 4-year university upon graduation. She is the daughter of Buz and Kathryn Boyer. 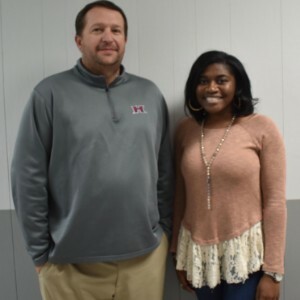 Makiya McCoy, a sophomore at Houston High School, is the Farm Bureau Student Athlete of the Month. She has a 3.72 GPA. Makiya plays guard for the Lady Hilltoppers basketball team. Makiya is also a member of the HHS Beta Club and is an honor roll student. Mikaya plans to attend Jackson State University and pursue a career as an obstetrician-gynecologist. She is the daughter of Trista Richardson and James McCoy. 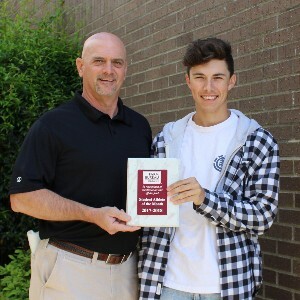 Michael Ann Chandler, a freshman at Houston High School, is the Farm Bureau Student Athlete of the Month. She has a 4.0 GPA. Michael Ann plays softball and basketball and runs track and cross country at HHS. She enjoys reading, watching Netflix, playing sports and hanging out with her friends. She plans to obtain her bachelor's degree from Mississippi State University before going on to medical school to become an orthopedic surgeon. She is the daughter of Chad and Valerie Chandler. 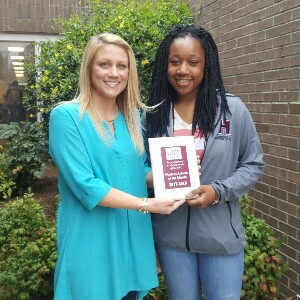 Janyola Jones, a sophomore at Houston High School, is the Farm Bureau Student Athlete of the Month. She has a 4.0 GPA. Janyola is a member of the Houston High School ladies basketball team. She is also an honor roll student. Janyola enjoys playing basketball and reading in her spare time. She plans to attend the University of Mississippi upon graduation. She is the daughter of Jeffery and Shequala Jones. 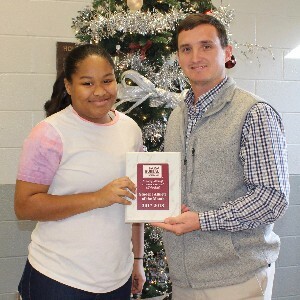 Janyola is pictured with Farm Bureau Agent Ty Stroup. 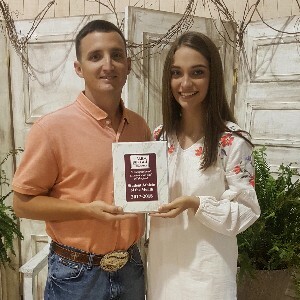 Jordan Ashley Harmon, a senior at Houston High School, is the Farm Bureau Student Athlete of the Month. She has a 3.76 GPA. Jordan is a member of the Houston High School Cheerleading Squad. She is a four-time All American Cheerleader, honor roll student, and future special honor graduate. In her spare time, she enjoys cheer, water sports, shopping and sleeping. She plans to attend Itawamba Community College upon graduation and be on the ICC Indianette Dance Team. She is the daughter of Kevin and Debbie Harmon and pictured with Farm Bureau Agent Kim Taylor. 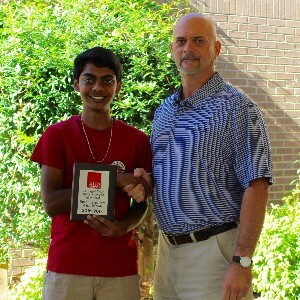 Ajay Patel, a senior at Houston High School, is the Alfa Athlete of the Month for September. He has a 4.2 GPA. Ajay is a member of the cross country team and is on the superintendent's honor roll. He is also a member of the Student Council, the Anchor Club, the Beta Club and the Solar Car Team. Ajay enjoys hanging out with his friends, playing sports and playing the piano. He plans to attend either The University of Mississippi or Mississippi State University upon graduation. Ajay is the son of Kunthavai and Shailesh Patel. 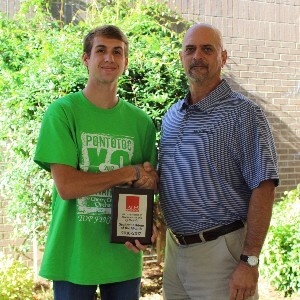 Peyton Brassfield, a senior at Houston High School, is the Alfa Athlete of the Month for August. He has a 3.87 GPA. Peyton is a member of both the cross country and track and field teams at HHS. He earned Cross Country All-Region twice and was the 3200-Meter District and Regional Champion for track. Peyton is a member of FCA and the Anchor Club. When Peyton is not running, he enjoys playing basketball, hanging out with his friends and cooking. 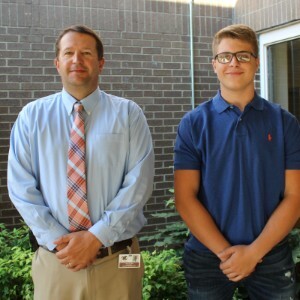 He plans to attend Itawamba Community College or Mississippi State University upon graduation. Peyton is the son of Jason and Amanda Brassfield. Braylen is a senior at Houston High School. She is a member of Anchor Club (2018-2019 Mississippi District Anchor President) and Beta Club. Her honors include Superintendent's List and member of Phi Theta Kappa at Itawamba Community College. Braylen enjoys spending time with family and friends, working at Grocer's Pride, reading, watching Netflix, sleeping and playing with her dog, Bella. 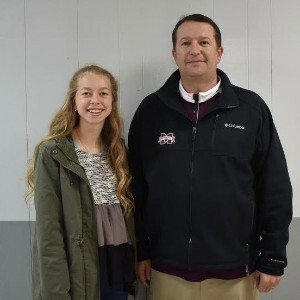 She plans to attend ICC upon graduation and then transfer to Mississippi State University to purse a degree in psychology. Braylen is the daughter of Bill Burdine and Kim Springer. Joanna is a senior at Houston High School. She is a member of Beta, Anchor Club, Student Council, Topper Pride Band and Color Guard. She previously was a member of the Cross Country team. She is an honor roll student and the recipient of PACE and perfect attendance awards. In her spare time, Joanna likes to read, swim and hang out with friends. She has also done volunteer work at school and in the community. Joanna plans to attend Itawamba Community College and apply for the Physical Therapy Assistant program. She is the daughter of Israel and Esmeralda Vazquez. Ben is a senior at Houston High School. He is a member of the Topper Pride Band, Student Council, and Anchor Club. He plays the snare in the band. Ben is Star Student of his senior class. Ben enjoys playing the drums and working out. He plans to attend Mississippi State University upon graduation and major in computer science and minor in physics. Ben is the son of Palina Lancaster and Billy Clark. Daija is a senior at Houston High School. She is a varsity cheerleader, student council public relations rep, Beta Club secretary, Anchor Club secretary and member of FFA. 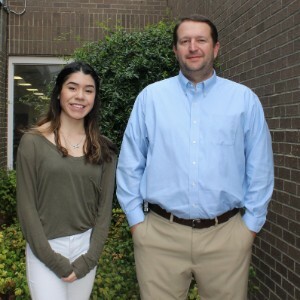 Her honors include superintendent's list, Hall of Fame, citizenship award, BancorpSouth Academic Achievement Awards and first place scholarship winner of the Ever Ready Palace of Children Oratorical contest. Daija plans to attend Itawamba Community College and transfer to the University of Mississippi to major in speech-language pathology. In her free time, she enjoys attending church and hanging out with family and friends. Daija is the daughter of Darrell and Quana Ivy. Halle is a senior at Houston High School. She is president of the Student Council, 12th grade representative for the Anchor Club, Color Guard Captain, and a member of Beta and the FCA Leadership Team. Halle's honors include Most Outstanding Auxiliary, Superintendent's Honor Roll and PACE awards for all state tests. Halle's hobbies include cooking and praising Jesus. After graduation, Halle plans to attend Itawamba Community College and then transfer to Blue Mountain College to major in Bible Studies and Elementary Education. Halle is the daughter of Phillip and Kelli Hollingsworth. Anthony is a senior at Houston High School. He is a member of the All-Superior Topper Pride Band, where he is drum major and plays the tuba and baritone saxophone. Anthony is also a member of the Beta Club. His honors include Mississippi Lions All-State Band and North Mississippi Youth Orchestra. Anthony enjoys practicing music, writing and reading. 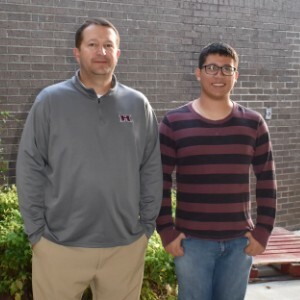 He plans to attend The University of Mississippi or Itawamba Community College upon graduation. Anthony is the son of Jorge and Ana Gonzalez. Kyler is a senior at Houston High School. He is the right guard on the HHS football team. He is president of FCA and a member of Anchor and Beta clubs. Kyler is also an honor roll student and received the citizenship award his junior year. He enjoys hanging out with his friends, going to youth group activities and playing pool. 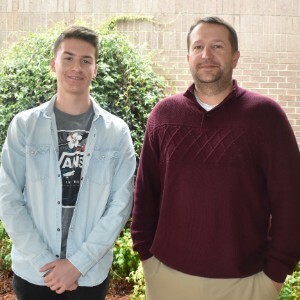 Upon graduation, Kyler plans to attend Itawamba Community College and then transfer to Mississippi State University to pursue a career in engineering. Kyler is the son of Chuck and Cathy Spencer.